The Blessing Boxes are honor system food pantries where people can take food who are in need. Also, this is an easy way for those who want to help others to donate non-perishable food. Currently, we are looking for people, families, or organizations to sponsor the blessing boxes for a week or month. Sponsorship would include restocking the Blessing Boxes, cleaning up around the area, and making sure the boxes are maintained (graffiti removal and not damaged.) 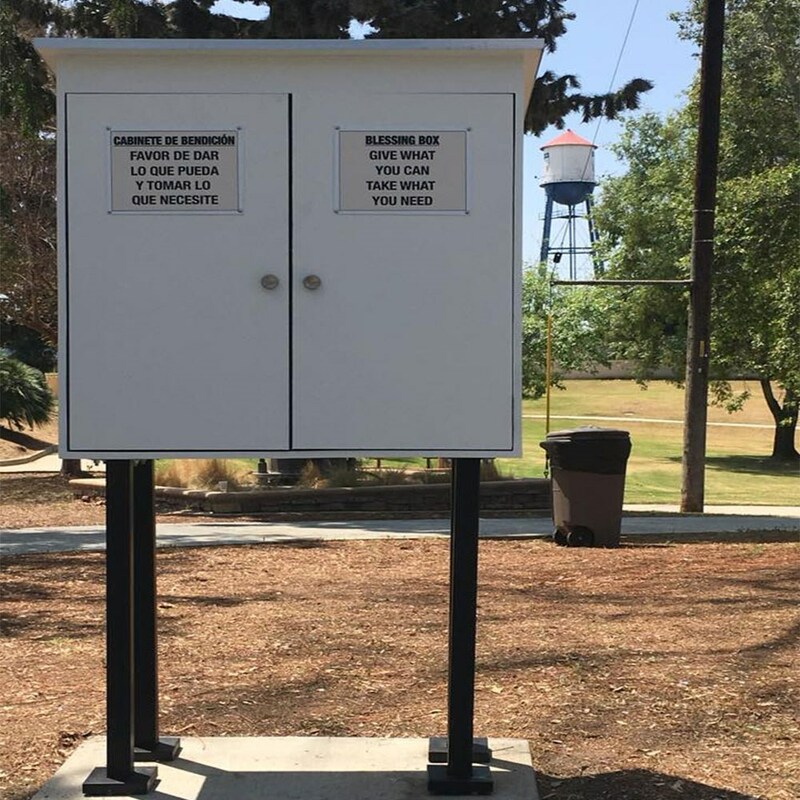 The City is not maintaining the boxes and volunteers are needed to keep and maintain the boxes in Placentia. If you are interested in sponsoring the Blessing Boxes please contact Marilyn Anderson at marilyn_and@att.net. You can always make a donation without sponsorship to the blessing boxes, just stop by the box and leave a Blessing for others. Thanks for blessing the lives of the residents in Placentia.